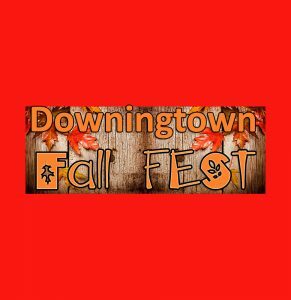 There will be a bustle of activity in Downingtown on September 30 when the 12th Annual Downingtown Fall Fest (East Lancaster Avenue between Wallace Avenue and Green Street, Downingtown, 610-514-7000, http://downingtownfallfest.com) arrives. The popular street festival, which runs from 11 a.m.-4 p.m. and will be held rain or shine, will feature live music, a wide assortment of vendors, and the Victory Beer Garden. The Victory Beer Garden featuring the Brewpub on Wheels will be located on Greeen Street next to the lake. There is no cost to enter the beer garden. Food and beer will be available for purchase the beer garden. Children are permitted inside the fenced area but must be supervised by an adult at all times. Live entertainment will be provided by AfroBear. The roster of food and beverage providers includes Amani’s BYOB, Au-Sams Trolley Stop, Big Boize BBQ Sauce, Blazing Swine BBQ, Crossan Concessions/Kettle Corn, Deke’s Food Truck, Dia Doce, Dos Hermanos Tacos, El Tlaloc, Falkor Food Truck, Foltz’s, Katja’s, Kona Ice of Southern Chesco, Kono Pizza, Mid-Atlantic Food Service, and Mompops. The roster also features Moon Dawg Sundaes, Phyllodelphia Greek & Mediterranean, Race to Taste Curbside Grill, Righteous Felon, Rita’s Water Ice, Southbound BBQ Company, Thai Master Grill, The Happy Pita, The Italian Artisan, Victory Brewing Company, and Zac’s Burger Bus of Chester County. Additionally, more than 120 vendor and display booths will be set up at the festival covering a wide range of interests. The all-ages event is free and open to the public. The Chadds Ford Historical Society (1736 North Creek Road, Chadds Ford, www.chaddsfordhistory.org, 610-388-7376) looks back at history – both normal and paranormal. This fall, the CFHS is hosting ta paranormal-themed events at its site designed to get visitors into the “spirit” — Paranormal Investigations. 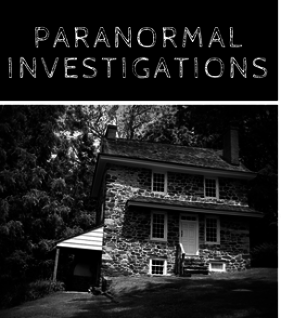 The Paranormal Investigations, which are scheduled for September 29 at 7 and 10 p.m., will feature paranormal fun while the staff and the experts investigate different locations at The Chadds Ford Historical Society. Participants will learn about the tools that Delmarva Historic Haunts uses to explore paranormal activities and will participate in investigations first-hand at the Society’s historic site. September 29 is “National Ghost Hunting Day” and the event in Chadds Ford will be part of the “World’s Largest Ghost Hunt,” which is sponsored by Haunted Journeys. On September 29, CFHS will also host its final “Escape Brandywine” event of the year. “Escape Brandywine” is an escape room experience, set inside the John Chads House, c.1725 historic home located along site of the Battle of Brandywine. This escape room program is unlike any other, since it places you directly inside an authentic historical space with a Revolutionary War mission. “Escape Brandywine” places participants into roles of spies on the eve of the Battle of Brandywine, and charges them with finding General Howe’s battle plans that have been hidden inside the Chads House for safe keeping. Using real Revolutionary War spy techniques, codes and cyphers, players will have 60 minutes to solve puzzles that will allow them to locate the plans and escape the house to deliver the plans to George Washington. The program will be held at 11 a.m., 1 and 3 p.m. Tickets are $28. 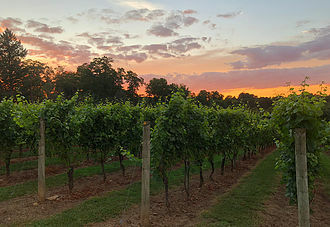 Galer Estate Winery (700 Folly Hill Road, Kennett Square, 484-899-8013, www.galerestate.com) has a variety of special events happening this weekend. On September 28, there will be a “Harvest Walk” starting at 7 p.m. Visitors can join Galer Estate’s Winemaker, Virginia Mitchell for a tour of the winery and Chardonnay vineyard – and enjoy a complimentary glass of wine on the guided tour. The Festival of Fountains at Longwood Gardens (Route 1, Kennett Square, 610-388-1000, www.longwoodgardens.org), which is running now through September 30, is always one of the area’s prime summertime attractions. The fountain project took two years and $90 million in renovations. The fountain features more than 1,300 jets and streams, a similar number of LEDs, a variety of flame features and a wide array of plants from around the world. Illuminated Fountain Performances are at 8:15 p.m. in September. In addition to the Main Fountain Garden, Longwood is also home to a collection of other fountain gardens, including the enchanting Italian Water Garden and Open Air Theatre fountains, which also perform daily. 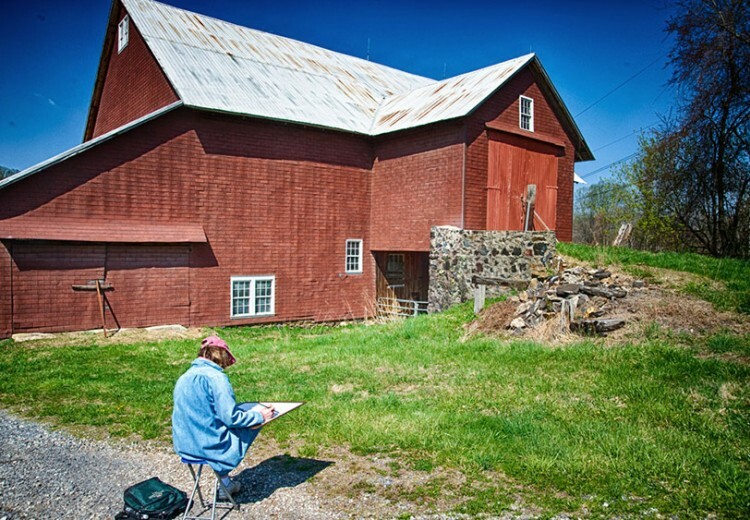 On September 30, the Brandywine River Museum of Art (1 Hoffmans Mill Road, Chadds Ford, www.brandywine.org, 610-388-8326) will host Kuerner Farm Plein Air Day. Visitors to the museum can also get an all-day access to Kuerner Farm, a National Historic Landmark, where Andrew Wyeth found intriguing subjects for hundreds of tempera paintings, watercolors and drawings for more than 70 years. Artists working in all media are invited to explore the property where they can sketch, paint or photograph and may gain insight into Wyeth’s creative process on an optional guided tour. Participants will meet at the Brandywine River Museum of Art parking lot at 9:15 a.m. before driving their own vehicles to the farm. Water and bathrooms are available at the site. Participants are responsible for providing all art materials. The Third Annual Phoenixville VegFest will be held on September 29 from 11 a.m.–5 p.m. on the 200 block of Bridge Street in downtown Phoenixville. The event will feature a full day of live music, street vendors, animal organizations and kids’ activities. 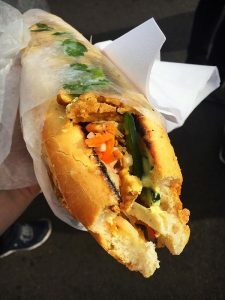 Most importantly, there will be a slew of great vegan treats, including vegan food dishes and even vegan beverage offerings served up by local restaurants. The event is being presented by Phoenixville VegFest and Peace Advocacy Network, a local nonprofit group that advocates peaceful existence through a vegan lifestyle, respect for the planet and its resources and social justice. Local vegan restaurants and shops will be offering the best in plant-centric, animal-product-free fare, including a wide array of hot and cold vegan options. The roster of participating food vendors includes Gangster Vegan Organics, Franco Ristorante, Great American Pub, Thai L’Elephant, Root Down Brewing Company, Soltane Bridges Cafe & Bakery, Black Walnut Winery, Brown’s Cow, El Burrito Restaurant, The Foodery, Sand Castle Winery, Bridge St. Chocolates, All Kinds of Fast, Liberty Carriage House, Steel City Coffee House, Artisans Gallery & Cafe, Crowded Castle Brewing Co., and Diving Cat Studio & Gallery. Admission is free and leashed pets are welcome. The rain date is September 30. The annual Dressage at Devon (Devon Horse Show grounds, Lancaster Avenue, Devon, 484-358-5510, http://dressageatdevon.org), is running now through September 30. The popular annual event combines world class dressage competition and the world’s largest open breed show. The six-day event attracts hundreds of horses from around the world and thousands of spectators. 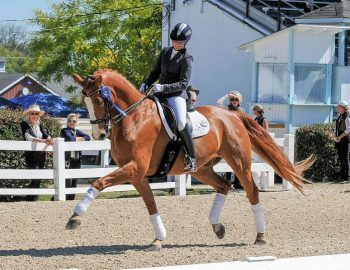 The event also includes the Fall Festival at Dressage at Devon, which features a large selection of vendors and an equally large number of specialty boutiques where visitors can shop for arts and crafts, clothing, horse-related items and gourmet food. Tickets are $10 for adults and $5 for children (ages 3-12). 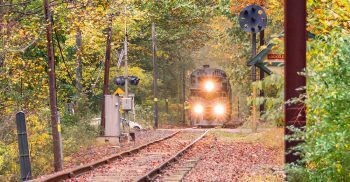 One of the best ways for everyone involved to appreciate the beauty of autumn’s annual color explosion is to ride a special excursion on an area tourist railroad. The West Chester Railroad (Market Street Station, West Chester, 610-430-2233, www.westchesterrr.net) is running its special “Fall Foliage Express” trains on September 30,October 7 and 14 and November 3, 4, 10 and 11with departures at noon and 2 p.m. Visitors to the Greater Philadelphia Expo Center (100 Station Avenue, Oaks, 484-754-EXPO, http://www.phillyexpocenter.com) will be presented with the opportunity to move to a higher plane – metaphysically not physically. On September 28 and 29, the Expo Center is hosting the Empowered Light Holistic Expo. Empowered Light Expos engage participants through classes, mini treatments, and psychic and intuitive readings. The Empowered Light Holistic Expo is a fun way to learn more about healthy, holistic lifestyles. Expos focus on holistic lifestyles, spiritual classes and personal development, offering enlightening workshops and lectures. Attendees can experience something new at the Expo such as Yoga, meditation, Tai Chi, or sound healing. Participants can also shop between workshops with holistic vendors with booths featuring a variety of natural products and services. They can also enjoy a soothing therapy like Reiki, or get a little guidance with an intuitive and angelic reading. Speakers include psychic mediums, published authors, and experts on a variety of health-related and spiritual development topics. The schedule of Expo hours and admission fees is — September 28: 5-9 p.m., $5; September 29: 10a.m-6 p.m., $15; September 30: 10 a.m.-6 p.m., $10. On September 29, Morris Arboretum of the University of Pennsylvania (100 E. Northwestern Avenue, Philadelphia, 215-247-5777, http://www.business-services.upenn.edu/arboretum/index.shtml) is hosting its Korean Harvest Festival. The event will run from 11 a.m.-3 p.m. in the Upper Gallery and throughout the Garden and is included with garden admission. Guests will be able to celebrate traditional and modern Korean culture with music, tours and free samples. Guides will lead an exploration of the Korean plants of the Arboretum’s 92-acre botanical collection at 11:30 a.m. and 2 p.m.
Live entertainment will be provided by the Penn DuRe drum troupe at 11:30 a.m. and 1:30 p.m. at the HaHa Wall, the Penn Sori Singers at noon and 2 p.m. in the Rose Garden, and Moon Boo Chang (traditional Korean dance) and Sae Young Chung (drums) at 11 a.m. and 1 p.m. at the HaHa Wall. Admittance to the festival is free with admission which is $19 for adults, $17 for seniors and $10 for youth (ages 3-17). The free festival, which is open to the public and kid-friendly, will run from noon-7 p.m. and feature delicious Italian sausages, kielbasa, chorizo, vegan sausages and more. The beer-and-sausage-themed festival, which celebrates South Philadelphia’s Newbold/West Passyunk neighborhood, will feature eight restaurants, 13 local craft breweries, eight live music shows, arts and crafts vendors and a play area for children. The following local eateries will be participating in this year’s SausageFest are Café y Chocolate, Martin’s Specialty Sausage, Mike’s BBQ, South Philly Taproom, Taproom on 19th, Moon Dawg Sundaes, Philly Pretzel Factory, and Thirsty Soul. Hosted by Wacker Brewing Company and Excelsior, the rain-or-shine festival will offer German brews and authentic fare, including German-style beers crafted by Wacker. Festival food will be available for purchase from Buzz, Brickers Famous French Fries, The Dog House Grill, and House of Clarendon. will be featuring Wacker Beer cupcakes. Live entertainment will be provided by the Lancaster Liederkranz Hobby Choir. Caricature artist Steven Kernen will be drawing onsite. Tickets for the festival, which runs from 2-6 p.m., are $15 and include a “Kollector Koozie” and one beer. There is a very good reason why collectors of antiques from all around the country will be heading to Pennsylvania’s Amish region this weekend. Renningers “Antiques & Collectors Extravaganza” (740 Noble Street, Kutztown, 570-385-0104,www.renningers.net) is running now through September 29 and “Special Sunday at Renninger’s Adamstown” (Route 272, Adamstown) is scheduled for September 30.on October 1. The Extravaganza features hundreds of antiques dealers from up and down the East Coast. Since 1975, Renningers Antiques & Collectors Extravaganzas have been a meeting place for dealers and collectors from a variety of locales. The dealers buy and sell among themselves and offer vintage items for sale to the general public. Many exhibitors set up shop outdoors — under tents and in the two large pavilions (each of which cover over 2,000 square feet). Also open is the Indoor Antiques Market and the Indoor Farmers Market. Tickets are $6 on Friday and $4 on Saturday. Renninger’s Antiques Market in Adamstown is the final shopping mecca for antiques during the Famous Extravaganza weekends. Many dealers save special merchandise which they display during these special weekends. Also, many dealers make a special trip to set up in the special outdoor market only these three times a year. The outdoor market opens at 5 am. The indoor market opens at 7:30 am. The outdoor market will begin at 5 am on Saturday for some exhibitors who make a two-day event out it. The indoor market is not open Saturdays. The main show however is Sunday, when the majority of dealers set up their booths and the indoor market is open. Weekly you will find 375 dealers indoors and up to 300 outdoors (weather permitting). The popular annual event in Lower Merion Township features crafts, antiques, pony rides, historic house tours, children’s games, muskets and soldiers, blacksmiths, stone carvers, cabinetmakers, spinners, skep weavers, bluegrass music, and falconry (and other birds of prey). The Fair, which is free and open to the public, also features the Harriton Attic Treasures Booth, which is one of the best flea markets on the Main Line, and the Harriton Farm stand featuring flowers and organic produce (some of which is from the Harriton garden). Lapps Country Market will be roasting chickens and ribs for lunch. Additionally, the Fair’s “Beer & Sausage Garden” will feature German food and beer. As an added attraction, the historic 1704 house will be open for tours during the day. Manayunk will be hosting two special events this weekend — Fall Riverpalooza 2018 and Manayunk Harvest Fest. Fall Riverpalooza 2018 will be held on September 29 and 30 at Mad River Manayunk (4100 Main Street, Philadelphia, MadriverManayunk.com). The event is an all-say, indoor/outdoor tented music festival which gets underway at noon each day. The roster of live entertainment includes Five Times Famous, DJ Freezie, Gypsy Wisdom, DJ John Lee, Split Decision, DJ Smooth, Lost in Paris Duo, Kalicade and DJ Renzo. The free family-oriented event will feature a full day of live music, seasonal activities, food vendors, and all things fall in Pretzel Park and all along Main Street. Manayunk retailers will be featuring fall specials throughout the day, and the live music will move into Manayunk restaurants during dinner hours. 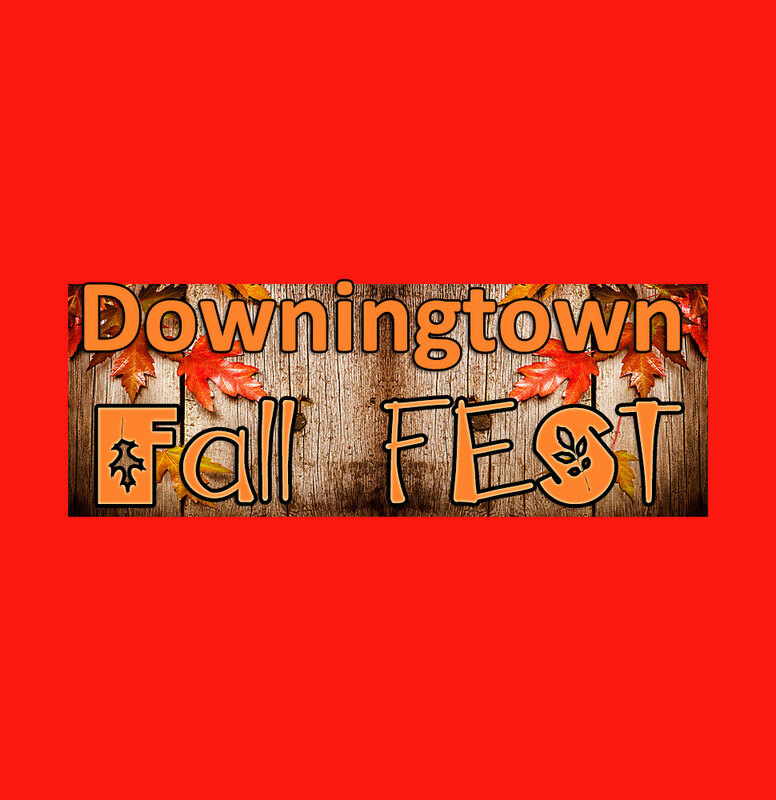 Activities include pumpkin carving, “PeanutButter Face Painting,” and live entertainment by a variety of acts including Hot Club of Philadelphia, Ben Arnold and Band, Merge Dance Studio, Black Horse Motel, Kenn Kweeder, Stella Ruze, and Padraig Stevens with Leo Moran of The Saw Doctors. The list of participating food trucks and vendors serving food all day long includes Calle del Sabor, Cupcake Carnivale, DonutNV, The Pizza Cruiser, Meat Wagon BBQ, Candygyrl and Lunchbox. The 62nd annual staging of the festival offers a variety of Polish treats including placki (potato pancakes), pierogis (dough filled with cheese and/or potato, holubki (stuffed cabbage), kielbasa (sausage) and chruschicki (bow cookies). The free festival will feature a full slate of live entertainment featuring Club Phred (9.24), Polka Serenaders (9.25), John Stevens & Doubleshot (9.26), TKO Polka Band (9.27 and 9.28) and Golden Tones (9.29). Dinner will be served Friday from 5-10 p.m. and Saturday from 3-10 p.m. The Midway, which is a large midway with over 20 rides along with a variety of amusement games, will open at 6 p.m. each night. The annual “A Taste of Greece” festival will run now through September 30 at St. George Greek Orthodox Church (30 East Forge Road, Media,http://www.stgeorgegreekfestival.org). The free festival focuses on food — tasty Greek main dishes such as moussaka (eggplant dish), shish-ka-bob (meat and vegetables on skewers) and placki (fish) and Greek dessert treats including baklava (phyllo, nuts and honey) and kataifi (shredded wheat and nuts). Other activities at the free popular annual event are midway rides, vendors with crafts and Greek items, live music by Greek-American bands and folk dancing demonstrations. 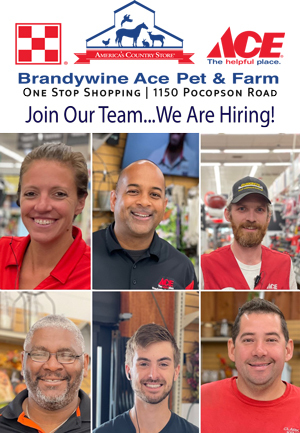 Hours are 11 a.m.-10 p.m. on Friday and Saturday and noon-8 p.m. on Sunday. The Pennsylvania Renaissance Faire (Pennsylvania Renaissance Faire Shire, Mount Hope Estate and Winery grounds, Route 72, Cornwall, 717-665-7021, www.parenfaire.com) is hosting its “Oktoberfest” event on September 29 and 30. It will also be a “Royal Dog Days” weekend. From 11 a.m. until 8 p.m. each day, the huge faire will be dedicated to annual German-themed celebration devoted to beer and Bavarian food. Visitors will be able to raise a stein to German heritage with micro-brewed ales from the Faire’s own Swashbuckler Brewing Company, the authentic food and dance of the Germanic Nations. Live entertainment will be provided by Alpenlaenders, GTV Almrausch Dancers and Wolgemut. Celebrating its 34th anniversary in 2018, Chestnut Hill’s Fall for the Arts Festival is returning to the Chestnut Hill Brewing Company (8229 Germantown Avenue, Philadelphia,https://chestnuthillpa.com/events/fall-for-the-arts-festival) on September 30. Philadelphia’s Garden District kicks off the fall arts season with more than 100 artists, along with live entertainment, al fresco dining, and artisan shopping along Germantown Avenue between Willow Grove and Rex Avenues. Visitors are invited to enjoy a day filled with art, music, culinary delights, and boutique shopping. Germantown Avenue will be transformed into an outdoor arts and crafts marketplace, and will serve as a backdrop for artists from here to as far away as New Mexico. The Makers Village will be back for its third consecutive year and will celebrate both the beauty of a finished piece of art as well as the act of making it. Admission to the festival is free. Rain date is October 7. Philadelphia’s Puerto Rican Day Parade (16th and Benjamin Franklin Parkway, elconcilio.net) is scheduled for September 30 from 12:30-2:30 p.m.
Each year, Concilio hosts the Annual Puerto Rican Festival Parade, a vibrant event which has been woven into the Philadelphia fabric for many years. The parade is a celebration of Puerto Rican culture in the Delaware Valley community, and each year it follows a particular theme. On September 16, 2017, the island of Puerto Rico was struck by Hurricane Maria, leaving its infrastructure completely dismantled. Since then, Puerto Rico’s road to recovery has been met with optimism by its natives and those across the world who refuse to become disheartened by their home’s current state. It is important to highlight the resiliency of a culture whose motivation for revival is exponential in the rebuilding and reconnecting of their community. Concilio hopes to honor the people of Puerto Rico this year for their strength and commitment to each other and to their roots. Renacer Puerto Rico, the rebirth of Puerto Rico. Participating groups get the opportunity to display this theme and put their cultural pride on display for friends, family and members of the community. Held on the Benjamin Franklin Parkway, the Puerto Rican Festival Parade typically has around 1,500 marchers; more than 5,000 attendees; and 96,000 watching it broadcast live on 6ABC. The South is invading Pennsylvania again. Visitors to the Colonial Pennsylvania Plantation will have the opportunity to observe firearm demonstrations, drills, a burial squad, camp life and use of herbs in the 1860s. There will be a period fashions on display as well as glimpses at what civilian life was like during that era. Battles will take place on Saturday at noon and 4 p.m. Sunday’s battle will be at 2 p.m. In the skirmishes, the army of the North will attempt to defend the plantation against the invading forces from old Dixie. The Colonial Pennsylvania Plantation is an 18th-century living history farm museum located within Ridley Creek State Park. It is most easily reached via the park’s Route 3 entrance just west of Newtown Square. The event will run from 11 a.m.-4 p.m. on Saturday and 11 a.m.-3 p.m. on Sunday. Admission is $12 for adults and $8 for children (ages 4-12). Halloween is slightly more than a month away and many of the annual holiday attraction of the 2018 season have arrived. “Terror Behind the Walls” (Eastern State Penitentiary, 2124 Fairmount Avenue, Philadelphia, 888-763-NITE, www.easternstate.org), will celebrate the new season with its opening weekend that starts today. The truly scary attraction, which is running through November 10, takes place at a penitentiary site that was once was an active prison and is now a National Historic Landmark. It is a scream-inducing event featuring laser and special-effect lighting, digital sound, sinister scents, animatronic creatures and 3-D illusions. If you like mazes, you should checking out the corn mazes at Ramsey’s Farm (Ramsey Road, Wilmington, Delaware, 302-477-1499, www.ramseysfarm.com). This is the time of the year when farms in the area become a bustle activity — a time for harvest. But, it is not harvest matters that are causing a bustle of activity at Cherry Crest Adventure Farm in Ronks (150 Cherry Hill Road, Ronks, 717-687-6843, www.cherrycrestfarm.com). The 28th annual edition of “Haunted Hayride, Bates Motel and Haunted Corn Maze at Arasapha Farm” (1835 N. Middletown Rd., Gradyville, 610-459-0647,www.thebatesmotel.com) will be scaring visitors through October 31.